There has been something of a trend with cricket bats over the last few years: a bat with a slightly shorter blade, and slightly longer handle. It’s hardly something new, although lately many brands are marketing it as something fresh and ground-breaking, whereas we’ve seen plenty of incarnations over the years, most notably the quite ridiculous Mongoose MMi3 bat, with its extremely long handle and very short blade, which was almost spoon-like. It became instantly recognisable on the pitch and the idea of owning and using a bat specifically for limited overs cricket was born. Despite its odd handle to bat ratio, it was legal, and whilst the MCC have clamped down on bat thickness lately – in professional cricket for now at least – the amount of handle, or willow a bat can have, in terms of length anyway, seems to be far more relaxed. But what is so special about the current set of shorter blade bats and why should I consider owning one? I actually own a couple of these shorter blade bats and from my own experience with them, feel best placed to explain the science behind them and discuss a few options that are still available today, because as you’d expect with cricket bats, there are many variants of this shorter blade, longer handle theory. Firstly, the scienc-y bit. This is probably the most important aspect, or selling point of these bats and I think it is one of the major reasons why they are so popular. Obviously, the regular short handle length (555mm blade) is still the most popular for many players, but that can have its limitations as far as sweet spot length is concerned. 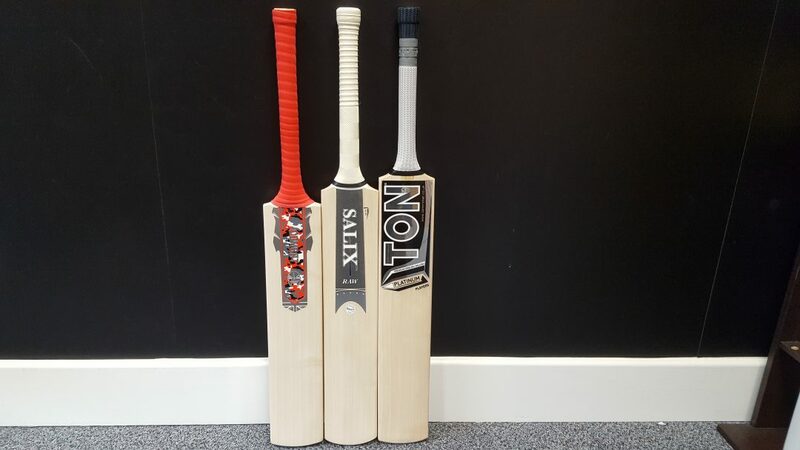 Although it does allow for the maximum length of willow in a short handle size, it can leave the bat with areas, up high or lower down the blade – depending on how the bat is shaped – that don’t perform quite so well. 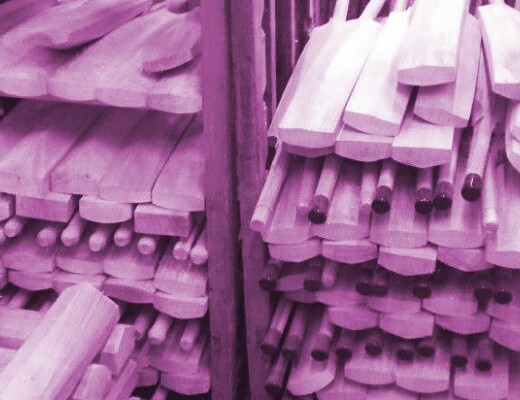 Of course, you could try and leave as much willow as possible in all areas of the bat, and almost create a railway sleeper effect, but that can have a negative effect on the bat’s balance, pick-up and overall weight. By creating a bat with a shorter blade, you have a bat with the same amount of mass as a normal length blade, over a shorter surface area, which potentially produces a bat with a larger sweet spot. In most cases, the shortening of the blade is no more than two centimetres but this can make a massive difference, not only in the performance, but also the pick-up, as more weight is in the handle, creating more of a counter balancing effect that many players love. The loss of arguably wasted wood in the shoulder area also tends to make these shorter blade bats an ounce or two lighter than their regular length counterparts, so the chances of having, say, a 40mm edged bat in 2lb 8oz are much greater with a shorter blade longer handle bat. Also, the longer handle can help to generate faster bat speed, as it creates more of a pendulum and more momentum can be gathered through the shot as a direct result, which is why shorter blade bats are designed for T20 cricket or other shorter formats, with the primary objective of trying to bludgeon the ball over the rope. 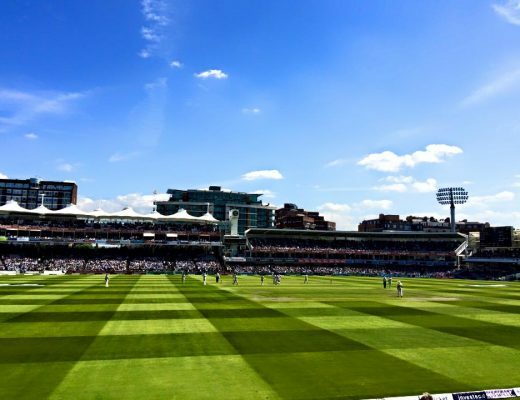 Although many cricketers still play the longer, traditional format of the game in club and league cricket, the shorter format of the game has experienced a meteoric rise in popularity of late, with both fans and players – which is primarily down to the busy lifestyles that many people lead today. For that reason, the shorter blade bat, designed for the shorter format of the game, often sits in a player’s kit bag as a second bat, or a cheaper alternative, often a lower grade option than their league bat, but still a strong performer. So, these shorter blade bats can arguably not only perform better but also be available at a lower price point, too. From personal experience, most of the time I haven’t been able to tell the difference, although on others, where the blade is noticeably shorter, it feels slightly alien and takes a little bit of time adjusting to it as the handle is, of course, much longer to compensate. One advantage of the extra handle length means that you can often place your hands higher on the grip and really swing through the line and create that pendulum like swing when going for the big shots. However, I did feel slightly exposed playing out yorkers or fuller length deliveries, where you could really do with that extra willow to save your wicket. As for the middles and the performance of these shorter bladed bats, I couldn’t speak of them highly enough. Although it seems like such a small difference, just to drop the length of the blade by two or three centimetres, and to pack the same amount of wood but over a smaller surface area, I think it makes for a very positive difference in the performance of the bat. 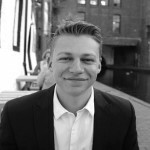 There is an abundance of shorter blade bats available today – with many of these bats being used by professional players; and it’s been well documented that England Captain, Joe Root, has been using bats like this. 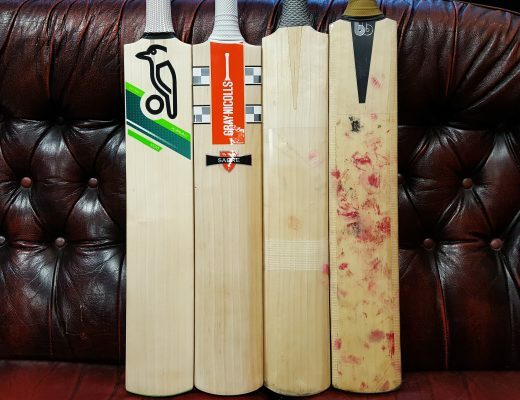 Phantom, Boss, Newbery, Salix, Chase, Gunn & Moore, Kookaburra and Gray-Nicolls are just some of the brands who have adopted this cricket bat trend, all with a variety of styles and shapes. Some models have been more successful than others, but there is seemingly no lack of innovation or ideas when it comes to these shorter blade bats. So, if you’re looking for options, you are spoilt for choice these days as the shorter blade, longer handled bats are very much in vogue. Furthermore, it doesn’t seem that they’ll be letting up in terms of popularity any time soon either, as many batsmen have never had it this good – clearing the boundary ropes with these wonder bats, almost with ease. But just spare a thought for the poor bowlers out there, who don’t seem to get as much assistance with taking wickets!